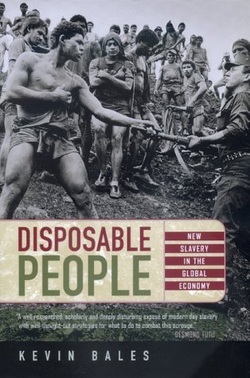 Bales's vivid case studies present actual slaves, slaveholders, and public officials in well-drawn historical, geographical, and cultural contexts. He observes the complex economic relationships of modern slavery and is aware that liberation is a bitter victory for a child prostitute or an enslaved miner if the result is starvation. Disposable People is available in: German, Norwegian, Italian, Spanish, Portuguese, Russian, Turkish, Korean, Arabic and Japanese.